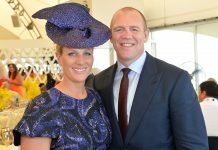 Mike and Zara Tindall’s daughter is growing up quickly! 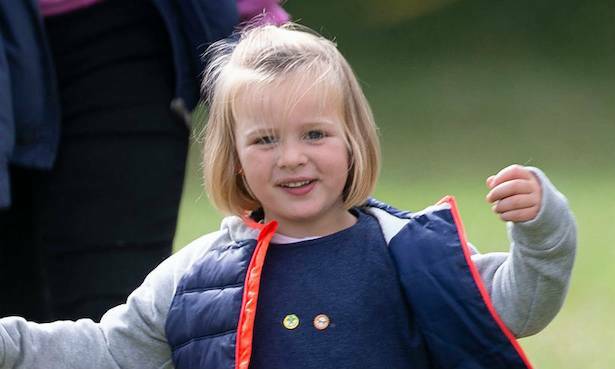 It was a fun-filled day for some of the youngest members of the royal family on Saturday as they enjoyed spending time together at Gatcombe Park in Gloucestershire. 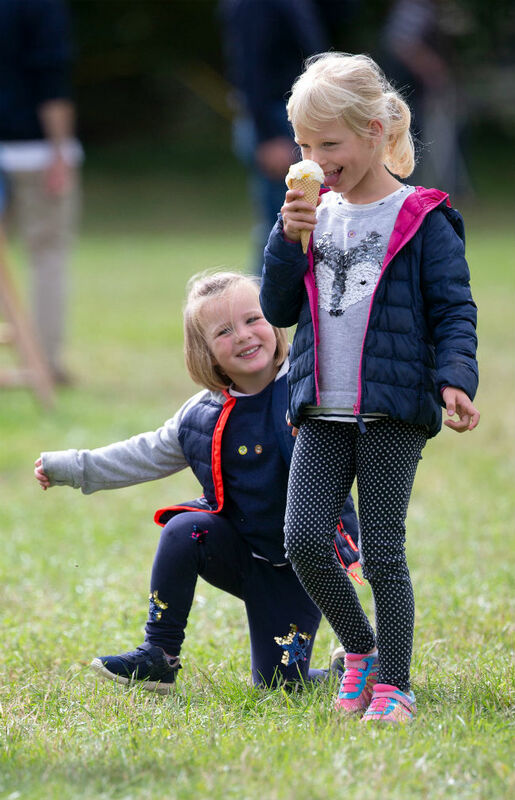 Mike and Zara Tindall’s eldest daughter Mia, four, was joined by her cousins seven-year-old Savannah and six-year-old Isla Phillips, as well as her mum Zara – who was taking part in day two of the Whatley Manor Horse Trials. 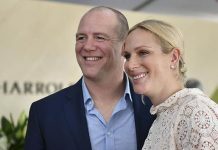 The young trio were pictured enjoying ice cream while running around in the grass as Zara took care of newborn daughter Lena. 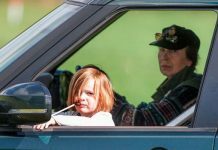 Princess Anne was also in attendance, and was seen doting on her granddaughters. 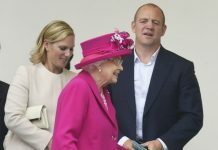 Mia in particular stole the show during their outing. 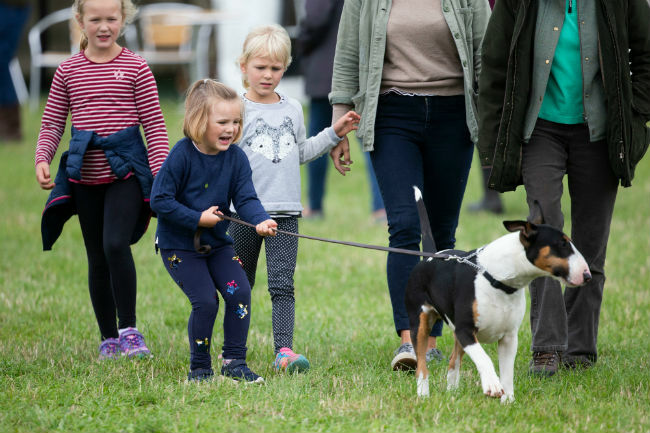 As well as spending time with her family, the little girl also looked like she was having fun playing with her grandmother’s dog, and even helped to walk it. 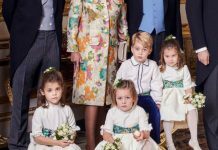 Mia looked all grown up too, dressed in a navy sweatshirt and patterned jeans, while her eldest cousins looked equally sweet, both wearing pattered T-shirts teamed with leggings and trainers. 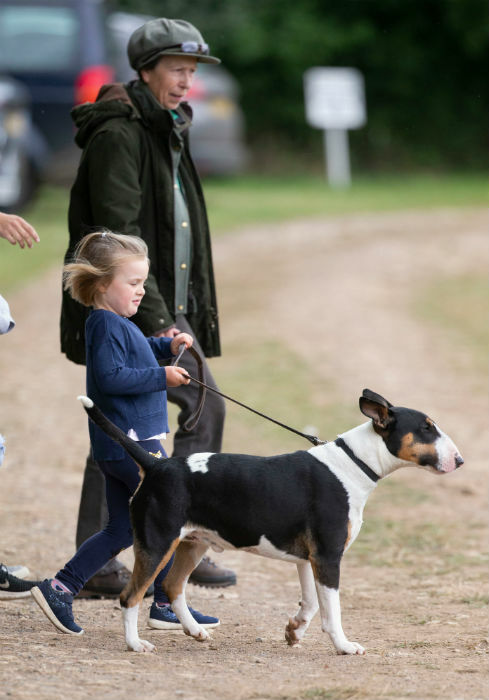 Anne, meanwhile, wrapped up warm in a parker jacket, jeans and a hat as she kept a watchful eye on the children.